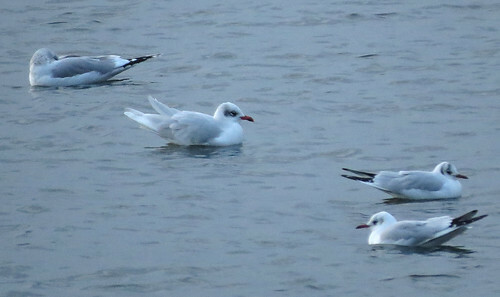 2018 gull-roosting at Tophill Low NR in East Yorkshire sprang into life in early January with two Mediterranean Gull Ichthyaetus melanocephalus early in the month, including this adult on the 2nd, with a first-winter bird appearing on a couple of evenings around the same period. 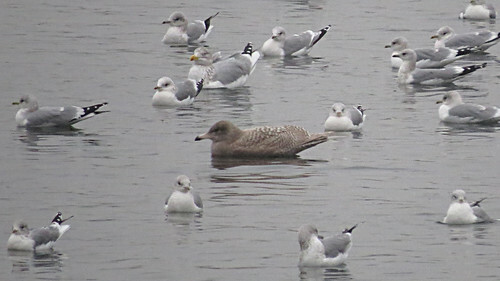 Roost number 59 of the winter saw this juvenile/first-winter Glaucous Gull Larus hyperboreus appear on the 7th. Despite not appearing nightly (although it may enter the roost after dark), the same bird kept on reappearing and was present until dark on the 15th. 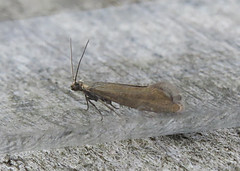 The question being, just how long will it remain? This bird goes against the grain of most of the scarcer gulls in Tophill site history dating back to 1959, with most occurring on just single evenings. 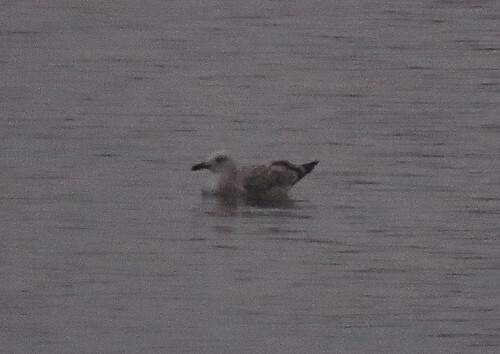 The highlight of the gull roosting spectacle appeared on the 9th in the form of a second-winter Caspian Gull L. cachinnans with either the same or another bird present on the 12th. Coincidence or trend? Time will tell if this pattern of records continues. 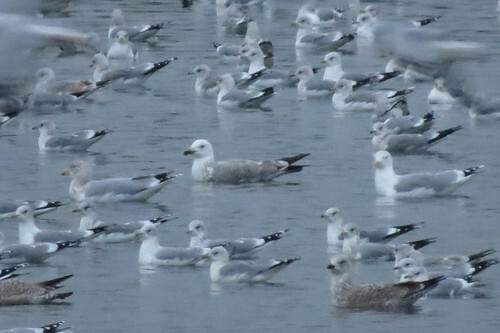 Could it be that January and November are peak times for seeing Caspian Gull L. cachinnans at Tophill? 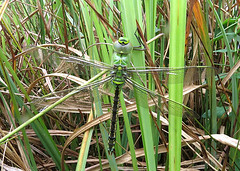 As ever, for the latest news from Tophill Low NR, check out the reserve’s blog and Twitter feed.